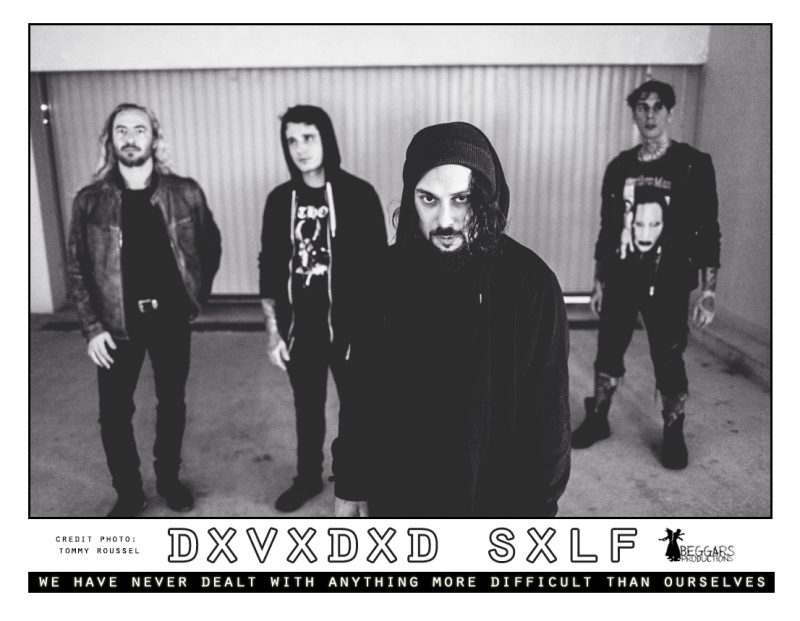 Founded in 2016, DXVXDXD SXLF (pronounced Divided Self) founding members Adam DSX and multi-instrumentalist Guillaume Smiley (Ad Vacuum) were quickly joined by their friends Alec Hourvari (Soyfutures, ex The Divergents) a singer/guitarist/arranger and Ludy Wotton (Fatass) as drummer. Together they created DXVXDXD SXLF, evoking the endless struggle between good and evil inside us all, referring also to the work “The divided self: An existential study in sanity & madness” from the British author R.D. Laing. The “X” marks the 4 members as well as the 4 elements, and as well as the symbol of the cross, and as well as the 4 members taste for mystery. In musical terms, DXVXDXD SXLF is an Alternative Goth Metal band. Their songs are eclectic, a kind of meeting between PARADISE LOST, MASTODON, PAIN and MEGADETH to quote only those great bands. Their influences are that wide and they don’t bother to create at the edge of various genres. From DEFTONES to DIMMU BORGIR, from THE CURE to IAMX.